The incredible 2 follows the adventures of the parrs, a family of supers (humans with super abilities). the parrs include the father, Bob, also known as Mr. Incredible who possesses super strength, Helen, his wife also known as for the ability to stretch her body, and their children Violet, who can become invisible and project Force fields, Dash, who possesses super speed, and jack-jack, their infant who can transform into a number of forms. The sequel will start “a minute” after the end of the first film, where the parrs are just about to face the undermine. The Incredibles 2 film is released in cinemas nationwide from today. However, you can continue the Incredibles fun at home and create your own scenes with the companying toys available from Jakks Pacific. 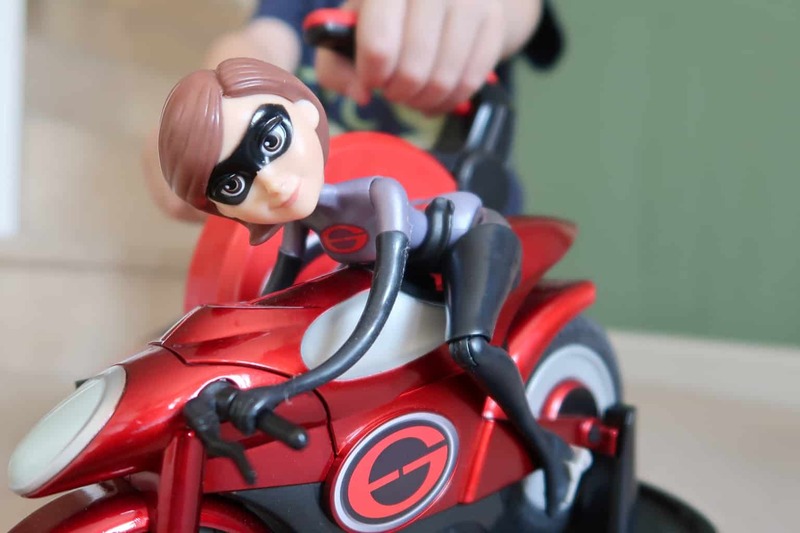 Ride to the rescue with Elastigirl’s trusty Stretching and Speeding Elasticycle. 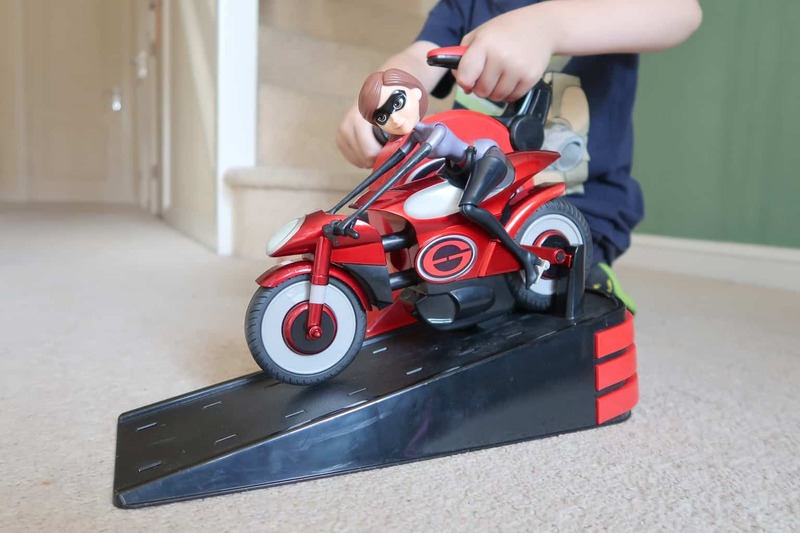 Place the cycle on the launch ramp and turn the handle to power up and watch Elastigirl as she stretches. Then launch into exciting action as she speeds across the floor! The Incredibles 2 Mrs Incredible and Elasticycle Toy is available to buy from Amazon and all other good toy retailers. 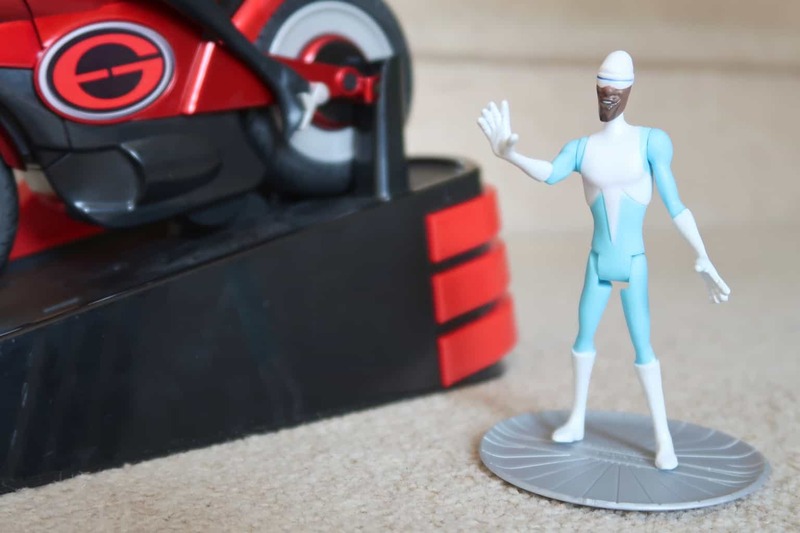 Set the scene with the range of 4 inch Incredibles 2 action figures such as Frozone. The posable action figure allows you to recreate scenes from the film or create your own. Jump into a brand new adventure with everybody’s favourite family of superheroes, and learn amazing facts about Mr. Incredible, Elastigirl, Violet, Dash and Jack-Jack. 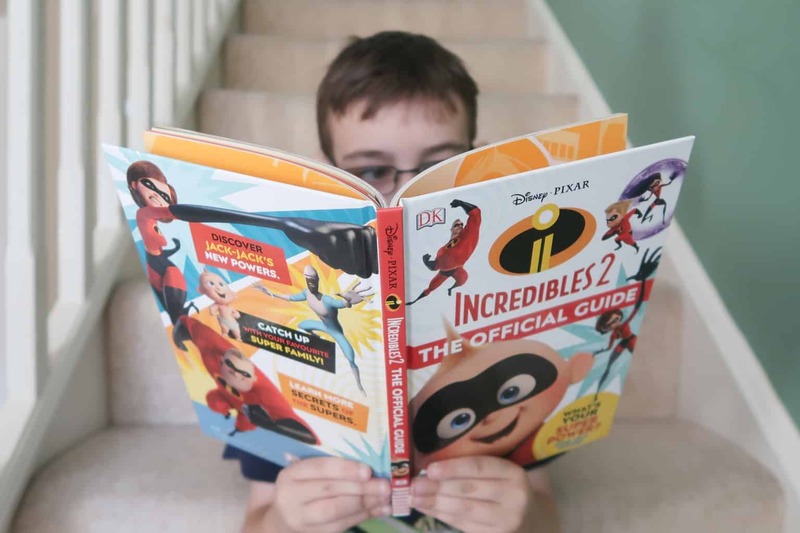 Discover everything you wanted to know about brave superheroes, dastardly villains and cool vehicles from Incredibles 2, the awesome new sequel to Disney·Pixar’s smash hit movie, The Incredibles. When a new villain hatches a brilliant and dangerous plot, the Parr family and their old friend Frozone must find a way to work together again – which is easier said than done, even when they’re all Incredible. This bumper book covers all the memorable and ever-popular characters, plus key locations, themes and iconic moments from the movie. The Incredibles 2 Official Guide is available to buy from Amazon and selected book retailers, published by DK Books.